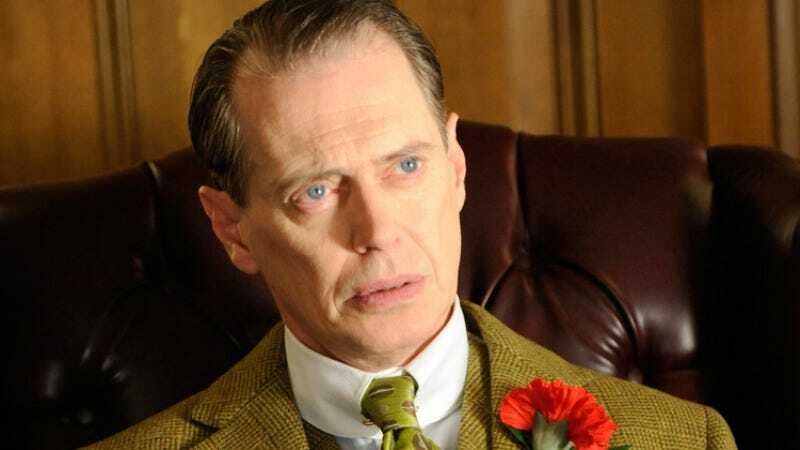 Steve Buscemi is a fine performer, a man who’s made the most of his unconventional looks and considerable talents to carve out a niche as a beloved character actor. His numerous roles include playing the innocent Donny in The Big Lebowski, the morally compromised Nucky on Boardwalk Empire, and now, thanks to a gallery put together by Tara McGinley at Dangerous Minds, a starring role in your nightmares tonight. Because McGinley, apparently on some sort of dark whim, has assembled a collection of photos of people who have, given a free amount of time, money, and available skin, opted to have Steve Buscemi’s face permanently etched upon their bodies.